Now it is time to defend the agents and reach out to seasoned actors, as well as new. July and August were not only very busy, but most of the work was SAG. If there is ever a time that casting is going to be busy in New York, it is the summer. I have been doing this for 30 years; summer is busy. I am going to give a major tip on how actors can make their relationship with their agents better and create less stress between casting directors and agents. I am going to start with Abrams Artists and the agent that I work with there, Tracey Goldblum. She works 20 hours a day and only cares about doing a great job. She will also defend an actor even when they have not done their part, so help her do her job. Now for the most important tip and the thing that is making our jobs the most difficult – stay in New York and be available to work in the summer. Come November when there are no auditions, it is not fair to complain to your agent. On top of so many actors wanting the summer off, you do not inform your agents of your schedule and the agents learn that you are unavailable after I have spent the day prepping and scheduling you. That means I have to do my job twice, sometimes even three or four times. I am so confused as to why sending your schedule is such a big issue. If you had a full time job you would have to put in for vacation. Also, how many e-mails does everyone send in a day? This is just one more and it is part of your job as an actor. Give your agent your schedule. It doesn’t matter if it is work related or not. For an agent to take their time to submit you and push for you, get an appointment, and then find out that you are not available is unfair to all of us. Your commercial agent should be made aware of any pending legit work, booked work, readings, vacations, etc. In this day and age, keeping your schedule up to date is easy. If an agent submits you, thinks you are available because you didn’t book out, calls you with the appointment only to find out you are not available because you “forgot” to book out, it will not only be remembered but the agent might hesitate to submit you the next time. It does not matter if you have not gotten an audition in a month. Agents still need your schedule so if an audition comes up they are prepared. If you have a secondary job and can only audition part time, it is so important to inform your agent. You are not just another body. We are all working hard to do great casting sessions, but lately the lack of responsibility has made it very difficult. Doug Kesten at Paradigm and Carol Ingber of Ingber and Associates, will get a breakdown from me and check everyone’s schedule before they submit. Actors that have not updated their schedule will not get submitted. Doug, in a lot of cases, will pick up the phone (I know…a new concept) and check in with some actors that he thinks will be perfect, before submitting them…very time consuming. Other agencies, like Don Buchwald and Associates, that have a much larger client list do not have the time to do that, so it is really important to update them with your schedule. Agents want appointments and do not want to take a chance on someone that hasn’t checked in. I don’t give an agent a time slot or a time span. I give an agent an appointment for a specific actor. If lose the actor, the agent loses that appointment time, and has less of a chance of booking the job. The lack of responsibility is costing actors auditions and making me hesitate on scheduling you again. You are also driving your agents crazy. Please, all actors, even if you have more than one agent, keep your full schedule up to date with all of them. Do not assume your legit agent is communicating with your commercial agent or that your manager is keeping your all agents in the loop. We are all grown ups and need to be responsible for ourselves. Please help this business; become responsible again. It might make casting easier and create a situation where we don’t have to set up such big casting sessions to make sure we are covered. One last request, give Tracey Goldblum a hand. She has more scheduling issues than anyone and I think her clients need to help her out. It has been a few months since I wrote my last blog. As I mentioned, my mom passed away suddenly and my world has changed. I have never experienced a loss so devastating that I feel I have no control or understanding of what I’m feeling. I find working is the best thing for me and I am so grateful that since mid-June, it has been very busy. She died June 8th. I had the time to do what I had to do to bury her and have my family and all of our friends come to my house and honor her. It was like Karma. The minute the third day of Shiva was over, I knew I had to get back to the office and work. One quiet week can slow down my cash flow and on top of being a casting director, I had to try and figure out what my mother had done with my business finances for over 20 years. I knew she was making every dollar stretch and letting me run a great casting company. She loved her job and did it the old fashioned way. She made me feel safe and that things would always be okay. Through busy times, slow times, things like Netflix, union, non-union, crazy low budgets, and so many changes over the last 20 years that she ran things, she stood by me. Casting directors are freelance. Whether you own a company with your own space or you rent space, you have to work so hard to do an an incredible job, every time, regardless of how hard the casting spec is or how little we are getting paid, or even how underpaid the actors are. We do this to keep the business going for all of us. There are jobs that I work on where the casting fee is more important than the quality they might get. I cut my rate often to try and gain new clients and to prove we are great at what we do and then maybe the next time they will find more money. I never undercut other casting directors to get a job. I do not even know what my competitors’ rates are. If that is what they care about, then they do not really care who is casting. I also think the process and the job of a casting director is not always understood. We add real value. Top directors and agencies understand the value of a good casting director – one that is well respected, that understands rules and the SAG contract, can be a huge asset. This knowledge and relationship with actors and agents can help in getting top quality talent. I think that with all my focus on work right now I see things a bit differently. It has always been important to me to do a great job. It is just who I am but now I worry that casting could end up being eliminated. I believe that commercials are the only way to see products but the broadcast quality work is becoming less frequent. The chain of events that comes along with that is actors missing commercial auditions and being accountable for their schedules does not matter. We have had more SAG network work this summer than we have had in years. We can never quarantine what work is going to be like, but summer is always a safe bet for quality work in New York. I do not know how to make actors understand this. I did a session for a great product and if an actor booked this, it could pay their bills for a year. I lost 25 people because they all took Friday off because it is summer. Really? I will not be given another chance. My client needed the session today. I have had multiple sessions every Friday for the last six weeks. I am not going to turn down the work because of this made up rule. Next time, they will just cast in LA. SAG actors that have been so frustrated with the amount of non-union work should not only notice what has been going on, but should rethink their schedules. If these issues are not thought about and addressed, then how can we move forward and try and keep things going? I have family, employees, agents, and so many actors that depend on my hard work. Sometimes I feel the agents and actors are not doing their fair share to help fix things. I have a great understanding of family emergencies now more than ever, but that term is used very loosely…a dentist appointment, a therapy appointment, etc. Auditions come first. There are a lot of actors out there and you probably will not get another chance so before you have a crazy reason to not make an audition or ask for a time change, please think about how hard we are working to set up quality casting sessions. No, we never know, but we are always prepared. This is what I spend my time thinking about now. At times it feels hopeless. One last thing that I would like to talk about: It has nothing to do with casting. I am a huge animal lover. I ride horses. I love horses. I love dogs and I have two of my own. My youngest son’s friend decided he wanted a dog. In this day and age, everyone knows that there are thousands of dogs that need to be rescued and adopted. He went to a pet store, thinking he was buying a pure bred from a breeder…makes no sense. Well of course it turned out the puppy was from a puppy mill and everything he was told was a lie and all the paperwork was forged. And nothing about giving the dog back because then what? Puppy mills must be closed down and a good place to start is with pet shops. I will help in reporting this and having this store shut down. This is horrifying to me and would love to learn as much about putting an end to puppy mills as I can. Just putting it out there that I am interested in helping. Last weekend was July 4th and I felt like I could have taken my blog post from one year ago and just used it again. We are in a business without any real schedule…no guarantees as to when it is going to be busy or slow or if it will be union or non-union work. A year ago, I begged actors to take their vacations in the winter. I never know when the phone will ring and the chances are I will be given no real lead time to do my job properly. Many times, I get a call in the morning to cast that same day. Because it’s Thursday in the summer and you have no auditions for Friday, many of you leave for the weekend. Why don’t you be the actor that sticks around and is available for the Friday afternoon last minute auditions? Keeping yourself around and available gives you an edge. What’s the rush? Where are you going? As usual, July 4th has become a weeklong holiday. Actors not being available can cost a casting director a job. Be the actor that sticks around and see what happens. I don’t think I have ever heard the excuse, “He has a flight” as many times as I have heard recently. Where is everyone going? Aren’t flights expensive? If there was ever a time to sit still and make the decision to be responsible, it would be now. There has been a nice amount of SAG (network) work and I cannot tell you how hard it was to get 20 actors confirmed last Friday. Be that actor that is available on a Friday in the summer and I bet your agent will push for you. We do not get to go again. We do a session with the best available. Many times we are only given one day to cast and if our first 20 choices have decided to get on a plane I have to find another 20 actors that will be great options. Being an actor is a “hurry up and wait” profession. 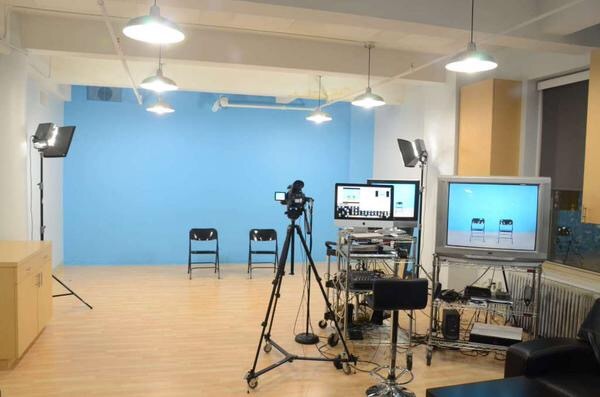 Casting directors, or at least those at Beth Melsky Casting, make themselves available 24/7. I never turn down anything because I am getting on a plane. I fly through the night. I am committed to my job because that is a big part in being successful. The beginning of June was personally the worst time of my life. I did not expect my clients to understand and did not want to put them in an awkward situation so I forged ahead. June is usually a very busy month but I am spiritual and I believe karma played a big part in allowing me to do everything I needed to and then it picked up strongly so I could catch up. July is starting out strong and August (the month that all actors think they should or can take off) has been a great month for New York casting in the past. All I am asking is to give it a try this year. Please help us casting directors do a great job and give clients a reason to think New York casting is very important. Your availability is what helps us do a great job. I am asking for a one-summer commitment. I do not always know my schedule so do not call and ask me if your actors can leave early and take long weekends. I get calls at night for the next day and honestly it is not my responsibility to give you the green light to leave. Being an agent and an actor is a job. I do not give my staff Fridays off because I am not sure what will come my way. Would you expect that if you had a full time job? What is the problem with sitting still? The other ongoing issue, and it’s not getting any better, is actors not booking out. Why don’t you do it? You can go four weeks without an audition and then your agent submits you and I guess because you haven’t heard from them you think it doesn’t matter. The agent submits you to me; I pick you and give you an appointment. The agents check schedules before submitting as to not waste my time. If it is clear, they submit with what they think is accurate information. More than 50% of the time, it turns out they have wasted my time and they have to call me with their tail between their legs to cancel your appointment. Often times, I do not give them a replacement. That means the agent has worked a whole day without even a chance of booking the job and making any money. One of the most disappointing occurrences, and it happens too often, is when an agent calls one of their clients with an appointment only to be told that the actor moved to LA. That is irresponsible and shows such a lack of respect for the people that are working as hard as they can to get you work. The responsible actors are the ones agents will feel comfortable submitting last minute. Also, informing your agent of bookings that might happen through a legit or theatrical agent are also important. Not only are they happy that you are working but it might not take you out. Knowledge is power. The last thing I want to talk about is the word “booked.” That word only means one thing to me. You are on another acting job. For the amount of times I hear that word in a day, I would say the business is beyond booming. The casting sessions going on are not reflecting the amount of actors “booked.” Having a part time job or taking other work is not being booked. Honesty is what allows us to try and work out auditions. Do not use that word loosely. I appreciate everyone who reads Beth’s blog regularly. I love my job and I love what we do at Beth Melsky Casting; however, there are some lessons to be learned. I want to touch on the point of booking out. I wish everyone could understand what goes on in Beth’s office. Beth puts out a breakdown, agents submit, and Beth HANDPICKS whom she wants to see and who is right for the job. She preps her sessions with diligence and precision. Everyone has a specific appointment time. Often times, you are reading with another actor or two or three. When I lose someone on a session because they have not booked out, I get quite frustrated too (so does your agent, by the way…I know this because I talk to each of them). I have to tell Beth whom we lost and why and then she has to go back through the submissions and try to find someone else who is right, prolonging the process and prepping double. Doing this over and over and over again is exhausting and frustrating. Please book out with your agents. Thank you to everyone who does. We are all on the same team here, trying to get a job done. Let’s work together in this. I want you all to book jobs, too! I am begging everyone to give a lot of thought to what I am asking and if I am wrong, I won’t ask again. Help to make this an easy summer and maybe even put a smile on my face. The SAG/AFTRA commercial contract was approved overwhelmingly. There is no reason to dwell. We need to move forward. As union members, it is important for you to understand the new rules. There is a clause about NDA’S that I think everyone should understand. It seems it is automatic on every commercial job that you are under an NDA. You don’t have to sign an NDA for it to be enforced. Casting directors have been putting them out for years on jobs that are new concepts or have celebrity talent in them. We have, many times, not let actors know the name of the product, just the conflict area. Since social media has made it so easy to talk about things and publicize it, I think actors get excited to share things and clients do not want their new ideas shared in that way. They have competitors as well…remember? I think when actors audition they need to assume every audition and the material are under that rule. Never ever take scripts with you. This has now become a SAG/AFTRA rule and it is not worth taking any chances on. It is so easy to find out where the leak came from and nobody needs trouble. Casting directors even sign them saying that we will not post scripts and, if we do, they will not have certain info on them, like product names or logos. New York rarely posts scripts. Beth Melsky Casting rarely posts union breakdowns, unless we are looking for something very unusual. We are very old fashion and believe that verbal communication with agents helps them understand the creative and gives us the chance to talk about seasoned actors as well as new actors that they feel have great potential. The less that is posted, the less chance there is for problems. However, that is not why we choose to prep by communicating. We do it the old fashion way because, even though it might take more time, it is more effective in doing a great job. If we are casting non-union, I think you should follow this rule as well. Our clients expect that from us and we will continue to put out NDA’S when requested on non-union jobs. Social media has changed this industry and you must be careful. If you were a stock broker, would you tell everyone what you did all day? This is a job. Our casting process allows me to present my client with the pros, as well as working hard to add new and interesting choices. This is a very important balance. Again, Beth Melsky Casting does this across the board. We also respect and set up our casting sessions the same way. Everyone gets a time and we work hard to get actors in and out as fast as possible. For actors that are used to going to non-union auditions and thinking that “anytime works,” that is not the way we work. Please take your appointments seriously, take everything you are told seriously, and the audition process in my office will go very smoothly. Union or non-union, all sessions are important and all casting needs to be presented with quality. Actors are treated with respect and the actors need to respect the casting process. Non-union is not going away…so let’s present it the same and build a greater level of respect. I think, even with union casting, or the lack of, actors are being forced to put it lower on their list of priorities; therefore, union sessions can end up equally as hard to put together. I get both sides and I just ask that everybody (not just actors ) try harder. I think actors need to assess their careers, decide their priorities, and choose what is best for them. Joining the union if you are able, staying non-union or even going financial core, none of us have a crystal ball so all you can do is decide what is the best path for you right now and how you might earn the most money in your near future. Going fi-core after you have become a union member is a big decision. Just as joining the union, if you have the opportunity, is a big decision. Going fi-core is easy but deciding to be union again is not so easy. While you are fi-core you cannot audition for union work. It’s not as if you can book something union and then pick up the phone and say, “I want to be SAG again.” It is a process that will take way longer then you would ever have in being able to do the job and will cause huge problems for the casting director and the signatory. If you make a decision to be a member again then you must start the process before you audition for union work. You cannot do both. Actors that have worked non-stop non-union might very well see a big change in the amount of auditions you end up getting. Do your due diligence. You cannot let it figure itself out. Actors that have been union for many years decide to go financial core because being a union member is no longer helping their careers. You cannot use the option of fi-core as a way to toggle back and forth. If you make the choice to join and it does not work out for you, you can file to go fi-core. Just make sure that is what you will be happier with. Everyone’s career is different. I think there are times that actors should join and times they shouldn’t, but it is not up to me to advise you. With the Internet and social media, advertising is a changed world. I know actors were hoping that this contract would help change the amount of non-union work, but unfortunately advertisers are not seeing enough of a return to increase budgets to cast union. This belief also greatly affects casting directors. We used to have day rates. Now we are being offered flat rates and it is hard for us as well. We work twice as hard for half the money, but I cannot let that affect my quality, staff, or services. We all have to hope that with time and knowledge things will get better for all of us. Maybe it would have been great if the negotiations (since it seemed they were going well) were extended and took more time. That is easy for me to say. I do not know the process. I do know that things will hopefully continue along because products still have to be advertised and in three years when the commercial contract is up again, we will not only be more knowledgeable, but the future of the way things can and will work will be shown over that time. In the meantime, everyone should do what he/she is doing. Pay attention to the flow and future of advertising and do not make rash decisions. Three years in our world is a short amount of time but a lot can been learned. Like I have said before, knowledge is everything. We are all in the same position…and hope time helps for the next contract. There are no easy answers. If I could turn the clock back twenty years, I would. Social media and technology are moving faster then we are and I do not see it slowing down. Maybe casting will become an app (haha). I do not think there were any clear winners here but a war is not the answer. My personal opinion does not matter. I do not have a vote but it all affects my business. Something I very much have to keep going. Let’s work towards a future that can works best for everyone so actors can just think about acting. Beth Melsky Casting is here for everyone. For actors to help make the agents’ (then, in turn, the casting directors’) lives much easier by being responsible. Send in your schedules. Do not wait for an appointment to let your agent know about something by saying, “Oh, I was just about to tell you. It just happened.” This is a job and one you need to take seriously. If acting is no longer your “career,” then let your agent or agents know that. If you are responsible with your schedules, they will have the information and work with it. The commercial contract is up in April. It would be amazing if the union could wipe the slate clean and start again. Times are very different now and it would be great if all actors had the same opportunities. This is not a realistic wish. Union or non-union is tough on everyone but we need to work and union is not always affordable in this new digital age. Everyone should have a chance to work and make money at what they love doing. I wish everyone a happy and successful New Year and I can’t wait for the newest and funniest excuses. This week’s post features a guest contributor, David O’Connor, a casting director based out of Chicago. Hello all. Quick introduction: my name is David O’Connor. I am a casting director who lives and works and owns my very large business in Chicago. I have done this for the last 25 years. Like Beth, I’ve been around the casting block many times and have seen major shifts in the career of not only casting directors, but actors, talent agents, production companies, ad agencies, and even the union (SAG). As casting directors, like Beth and myself, we are unique in the fact that we must know “everything” without any real way of learning it. We have to know all the SAG rules to represent our producers and clients properly and now we’ve had to navigate a non-union world without any rules. It has been left up to the top casting directors to advise and guide our clients. We have tried very hard to set prices and some unified structure to a part of the business that has no rules. We very much want to get the best deal for our clients without taking advantage of actors. The SAG (union) versus non-union situation is not a casting director’s job to get involved with. We’re hired to cast non-union and we do the best we can to keep it fair and continue to do that. We are trying to move forward with rates, not backwards. Our business is mostly based on the commercial contract, which involves not only broadcast TV and Internet usage, but also industrial; now web video, print, and digital print. Union has defined lines. Non-union has none, so we are negotiating things that we never had to deal with, if it was a SAG job going on a SAG contract. The floodgates for crazy amounts of usage for flat fees have been opened and I do not think there is any return. As casting directors “now,” we have to keep up the quality of the casting, but we also spend way too much time navigating budgets and negotiations. What we signed up for was an amazing creative job, understanding casting specs, fulfilling directors’ visions of what they want, and painting a beautiful portrait of talented people doing talented work. What an amazing feeling to get it right, done properly, and make everyone so happy that they come back. Our careers have been compromised by a new business. I think we always thought of our jobs as creative and now the shift in the business has changed the priorities or what is needed to get to that great end goal. For both us, we wish we could spend more time setting up great casting sessions with quality actors that still want to do this. SAG actors cannot wait around for the union to fix things so they can learn that it’s worth being responsible to their agents and career. They are frustrated with the lack of work and, therefore, every time we get and set up a great job, we lose half of the actors we want because they have given up and even have other careers, something nobody finds out until they are called with an audition. I’d like to backtrack. If you have not read many of the previous blog posts, you should stop reading this and start from the first post. The situation is the same in Chicago, NY, and LA. There are so many things written to help you be the best you can be. They also help you to understand this business and ways to help, as a community, to stay strong and stay functional. Ok, now back to me. I am amazed at how casting directors in the major markets all have the same issues with clients and actors. I think SAG believes that so many of their members do not care and work non-union. SAG members are very loyal and I guess hopeful in that the union will do something to help. Actors that cannot earn a living doing SAG work file for a thing called fi-core (financial core), which allows them to work non-union. The labor laws allow for this and anyone that we know that has done this does this properly with SAG. They work non-union and if they get a SAG job, then they have to rejoin. That’s a lot of money, then they have to file again. The only SAG issue that changes for them is that they cannot vote. We all want the best for actors and encourage their careers. We hope to see them on the big screen or TV someday. It is an amazing journey for us to have a hand in and follow careers. Non-union has watered this process down so much. We need to audition so many actors per part that we worry that someone talented will slip through the cracks. As casting directors, we are neutral. We have no union behind us supporting or helping us. They have never tried to work towards a compromise that might help. Non-union is not going away and we would love nothing more than unified rates and rules; “almost like a non-union union.” I guess that’s an oxymoron. We battle daily with changing times and talent pools. We as casting directors have a lot of people to please and it is not an easy job. It literally has been getting more difficult every year for the past ten years. Remember, we get hired to find the best, given the parameters or rates, schedules and creative concepts. We are constantly working on tight deadlines and budgets at the same time, giving great options for our directors and creatives. That is and always will be the case. Where the biggest issues come into play are working with actors and models when they do not take it as a business. Everyone refers to it as a business, but some get lost in the “me, me, me” aspect of life and do not realize that 99% of the time, the people paying for these services care about the job as a whole. They care about making something interesting, artistic, but mostly, they want to see their product make money. Let’s be honest. I do not think actors choose to be actors to do commercials. Commercial actors do it for the money, while they focus on their dream. One big change in commercials through all this is that commercials are not looked down upon, but can be a great stepping-stone to be seen by big producers and directors, and it can turn into very positive exposure. I think we both stayed in business by being very good at spotting and understanding talent. Chicago is a mecca for incredibly trained comedic improve actors. You have no idea how many famous actors are from the Chicago area. I am an incredible businessperson and have been able to navigate it all. Beth and I have a lot in common in that way. Basically, the words I am putting to fingers currently are just to let you understand and focus on that. To apply to every audition or project you accept and understand that we all need each other to be successful. We all need to present ourselves properly and professionally, across all aspects of your career. From being prepared for auditions, respecting each other and the people running things, the people trying to help you build your craft constantly. Do your best everyday. We have to focus, educate, use common sense, and make strong creative choices daily. Truly, these are the only things you, as actors, are in control of. Do them well and you can reap the rewards of your chosen profession. Highly doubt that some stage parent was behind your choice. You chose this wacky, strange, chaotic, wonderful business of acting and performing. In doing so, you have the responsibility of taking control of your choices. You are an individual. Thank you so much, Beth, for letting me throw some words out there. Hopefully, they can be helpful and won’t start any acting riots or hatred for this terrific city of Chicago that I call home. For a majority of this post, I have chosen to add “us” and make these thoughts from the both David and I. I have a lot of respect for David O’Connor. He is a huge role model for me and for those who want to be casting directors and understand that there is a lot more to our profession. As always, thanks for reading. Here is a little bit about me and what it’s like being a casting director now versus when I started. It is important for actors to understand how drastically the business has changed. It might help in learning new things that we all have to do to try to keep the business going…for all of us. I used to love being a casting director. I still love casting. I love casting the same way actors love acting. Now the business is so out of whack and lost; only about 20% of each workday for me is actually about “casting.” The rest is business. Casting is an art. It is very rewarding and exciting for me, even after 30 years, to book a job. That means I did my job. Unfortunately, the jobs that require my casting eye and expertise are few and far between. So much of it has become navigating the business with expertise on rules, rates, and respect. My expertise is needed by a lot of new producers and companies that need knowledge to get them the best talent for the best rate and keep the casting process done with quality. Budgets for casting have decreased, money for actors has decreased, and money for production has decreased, but they still need my company’s expertise to put out a casting session as if every job was like a big paying union network job. I spend everyday trying to navigate all of this and be fair. Right now is the best time for new actors to have more agent choices and more opportunity to audition with a greater chance to be seen and book. There is a lot of advice I can give you on how to do this and I will do that in my next blog post. This one is about how the casting director job has changed and how it affects some actors in a positive way and others in a negative way. A great example of how the biz has changed is that 25 years ago, there was no non-union work. All commercials were SAG and clients were happy with 10-15 strong choices. They would pick three actors for callbacks; the actors’ chance of booking was incredible. John Goodman was the cream of the crop back then. He booked almost every commercial he auditioned for. Actors that booked lots of network commercials back then went onto success. Now we have to see 100 per part…really narrows down the chances. Then, the first strike happened. We got through it and things went back to normal. Then the second strike hit, along with the Internet and nothing went back to normal. This is when the casting director’s job started to change. To stay in business, we had to change with it. There are so many blanks to fill and if you show interest in the story, I will be happy to keep writing it. The invention of the Internet and then streaming content has changed the commercial business forever. I think I have an idea of where it’s going but we have to have faith that, at least for commercials, the only way to sell a product is to advertise. The advertising business just needs to figure out how to get ads seen. There’s so much to learn and think about for all of us. I do not plan on ever closing my doors. I will change as I have to and hopefully be able to keep employing actors along with me. I have a lot more history to talk about as well as ideas moving forward and things we can do to help.